Nintendo of Europe's tweet - "An all-new #NintendoDirect is almost here! Tune in at 11pm (CET) on Wednesday, 13/02 for roughly 35 minutes of information on upcoming #NintendoSwitch titles, including new details on #FireEmblem: Three Houses. ► "
And. there. we. go. Also this will be first regular Direct, outside of mini and E3, that won't have Nintendo 3DS information. That is a sign I reckon. 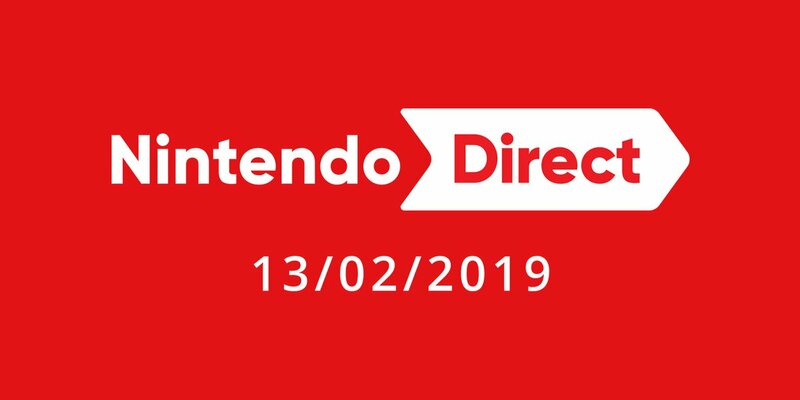 A Nintendo Direct is happening tomorrow. Fingers crossed, maybe we will have juicy updates on Animal Crossing! Well I'm certainly not Live Streaming tonight, also more Three Houses News (about time)! This is likely to be the most exciting Directs in years. No time wasted on 3DS (sorry 3DS fans! ), likely to be lots of surprises to lay the ground for full reveals at E3. Demain, rendez-vous à 23h00 pour un nouveau nintendo direct, qui contiendra de nouvelles informations sur Fire Emblem three houses. Vad ni än gör så låt inte John Blund knacka på hos er innan klockan 23:00 ikväll! HET LEVEN HET HEEFT WEER ZIN! INFO OVER FIRE EMBLEM LETS GO! HERE WE ARE MY CHILDREN. At least people can stop talking about it now, hyped to see FE news! I hate this, what if it makes Franc happy?? OHH I HOPE THERE’S GONNA BE NEWS ABOUT THE NEW ANIMAL CROSSING!! BUENO CHICOS ME VOY A LLORAR Y A GRITAR O ALGO. Bring Golden Sun Back already, Nintendo please! First Nintendo Direct of the year. Don't get your hopes up though, i honestly don't expect anything like SMM2 to be announced. There is still a couple of games though Nintendo have not announced for this year so maybe we get a surprise or two? I shall Live Stream it 10PM UK time. Mark my words, as much as I love Fire emblem, I don't want it to take up to 15-20 min of the direct. Because Fire emblem is specifically mentioned, I fear that it will take a huge chunk of the 35 minutes. Seuraavan Nintendo Directin ajankohdaksi varmistui 14.2 klo 0.00. IT IS FINALLY HERE???????????????? THEY DID IT????????????????? because if you do i'll get hyped and i'll be disappointed.